It’s a heartful plea from a girl who isn’t sure what’s going on in her relationship. What’s makes it brilliant is that Oz has discovered that he’s a werewolf and was in the middle of chaining himself up for the night, but Willow’s plea has put herself, Oz, and other people in danger. This situation is why I, and I’m sure many others, love Buffy, and gets to the heart of the show. These are teenagers with real teenage concerns, who happen to live on top of a mouth to Hell. Even though a werewolf is on the loose, Willow is more concerned about her relationship with Oz and how it’s not moving forward. The werewolf thing is Oz’s main concern, of course, and he doesn’t recognize how distant he’s been, even before he became a werewolf. And it all comes together in that wonderful scene. All seven seasons of Buffy contain fantastic moments that combine genuine emotion with horror that ranges from kinda-campy (the singing demon from “Once More with Feeling”) to pretty scary (the Gentlemen in “Hush”). I’ve been rewatching the series lately — I’m currently up to season 3 — and it’s been great to experience such an expert blending of light-hearted humor with dark scares and gut-wrenching emotions. Despite the fact that it’s set in the 1950’s, Wasp-Men From Mars! 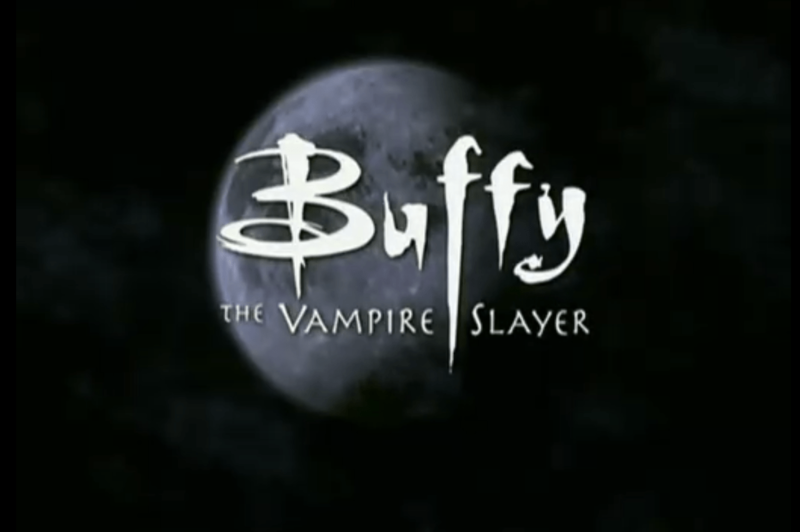 has a lot of Buffy in its DNA. In the center of its horror/sci-fi plot are the emotional lives of three teenagers. Willow’s feelings and confusion makes her oblivious to what’s going on in the main horror plot of “Phases” when she confronts Oz (“Why do you have chains and stuff?”). Wasp-Men’s lead character, Suzie, becomes so wrapped up in her own feelings that the film’s alien invasion is actually a secondary concern for her. Buffy often makes their monster of the week a metaphor for something in their characters’ lives, but I chose not to do that in Wasp-Men. I have a bit of fun with the idea in one scene, which I refer to as the Tremors scene, but its attempt to grasp for a metaphor isn’t meant to be taken seriously. Wasp-Men isn’t a Buffy ripoff or homage. I’ve read a few amateur screenplays that try to ape Whedon’s style and they always fail from trying too hard. While writing Wasp-Men I recognized how Buffy influenced the screenplay and tried to draw on some of the elements that made Buffy great, all those things I’ve talked about in this essay, and refrained from imitating Whedon’s voice. Which was hard because there were times when the characters could have easily slip into the jokey voice many Buffy characters have. Suzie, Timmy, and James are their own characters, with their own voices, but they wouldn’t be out of place at Sunnydale High.